Each time when I read the Book of Job and saw the words, “So the LORD blessed the latter end of Job more than his beginning: for he had fourteen thousand sheep, and six thousand camels, and a thousand yoke of oxen, and a thousand she asses. He had also seven sons and three daughters” (Job 42:12-13), “And in all the land were no women found so fair as the daughters of Job: and their father gave them inheritance among their brothers. After this lived Job an hundred and forty years, and saw his sons, and his sons’ sons, even four generations” (Job 42:15-16), I admired Job in my heart, thinking he was really blessed with the property, the children, and the prolonged life that God bestowed on him. Therefore I determined to follow the example of Job: If I encounter trials, I would like to calm down and pray to God, seek His will, and obey His orchestrations and arrangements, so that I could stand witness to satisfy Him and receive His blessings. 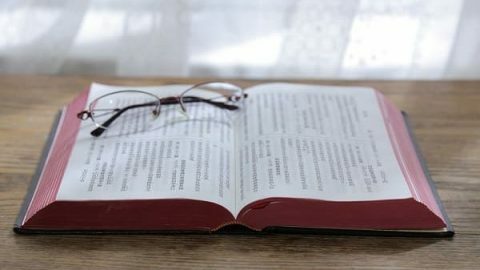 However, one day, having seen a passage of words on a gospel website, I got a new understanding and view of the greatest blessing Job obtained. These words said, “How did Job understand what happened to him? … ‘I must understand God, I must act reasonably and be a reasonable man. All this was bestowed by God. Whenever He wants to take it away He may help Himself. I must not argue with Him, for that would be rebellious. If I reject God then that will cause Him grief, and that is not being a truly good man or a genuine created being.’ What happened in the end? He practiced in this way, and so what effect, what achievement did his practice bring to him? In actual fact, the real result was not that he became even richer or that he had more cows and sheep than before, or that his sons and daughters were more beautiful than those he had before; these are graces incidentally given to man by God. That which God really allows man to gain is that, through this matter, you gain a better understanding of Him, have a closer relationship with Him and your heart draws closer to God’s heart, and when God does something else, you will understand, and you won’t say rebellious things or blasphemous things or things that cause God to grieve. Isn’t this casting off your corrupt disposition? This is a complete change. (The things within my nature are no longer able to control me.) They are not able to control you anymore, you are not under their jurisdiction anymore but you are under God’s jurisdiction, for God is able to orchestrate you no matter what He does, and you belong to God. At that time, Job had this state and he had this attitude, and he also acted this way, he entered this kind of reality and, in the end, God appeared to him. When God appeared to Job, whether He showed His face or His back to Job, was Job’s understanding of God deepened, or was it lessened? (It was deepened.) It certainly was; it couldn’t go backward. So with man being able to see God, that is, from previous times when man heard there was a God by the hearing of the ear in legends, and the mentality of this vague ‘He seems to exist’ and ‘Does He exist,’ to where man sees God, and establishes and confirms God’s existence—compared with the grace God bestows on man, which is more of a blessing to man? (Seeing God is more of a blessing.) This is for sure. So what do people always think when they believe in God but they don’t understand the truth? ‘God protect me and be kind to me; think highly of me, God, and elevate me from the crowd. God bless my whole family so that we live in bliss, joy and safety. God allow me to be able to preach wherever I go so that other people are envious of me and admire me….’ You want to gain these things but you don’t know what is real or what God wants to bestow on you and give to you. You just ask for these external things, and what happens when this is all you do? You become further and further from God. 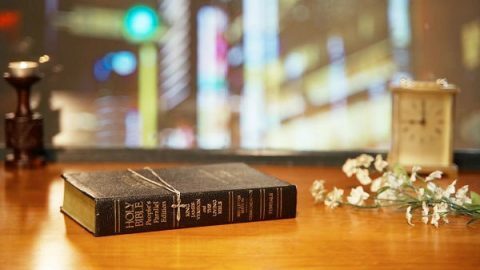 You are unable to gain knowledge of God, and so your relationship with God won’t be as close as your relationship with God would be if you knew God, right?” (“What Practicing the Truth Is”). After reading these words, I understood that the property, the children, and the prolonged life that Job obtained were not the greatest blessings. 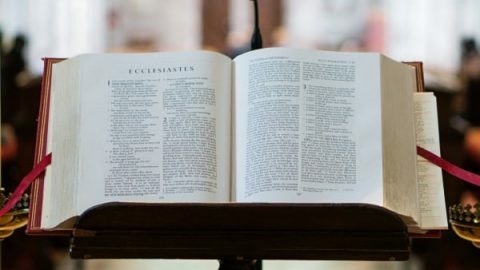 Instead, it is that after he stood witness in the face of trials, God appeared and spoke to him, which made him have a more profound knowledge and understanding of God and his heart come closer to God, and finally he lived out a valuable and meaningful life. From this we can see, Job ordinarily paid attention to walking the way of fearing God and shunning evil, and he had already had some knowledge of God’s sovereignty when he was stripped of his property and children, so he could obey God unconditionally: Not only did he not sin with his lips, but he did not curse the enemies, much less spoke of the negative words or words of complaint against God. It can be seen that what he loved dearly was not the material blessings, which had no place in his heart. The things that he treasured most were his relationship with God, his true faith in God, his reverence for God, and God’s trials of him. And he believed in God’s sovereignty and pursued to obey and satisfy Him, being deeply afraid of straying from Him and hurting His heart. So when Job bore witness and God appeared to him, he felt delighted and excited for he could see the Creator’s back and hear His voice. Meanwhile, he also understood the kind intentions of God’s testing of him, and knew that whatever God did was for the sake of perfecting him. Afterward, Job saw God’s almightiness through the blessings from God. God said that He would bestow upon Job fourteen thousand sheep, six thousand camels, a thousand yoke of oxen, and a thousand she asses. 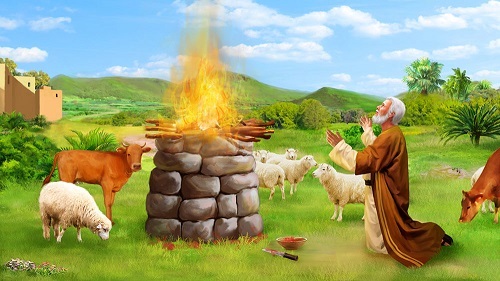 And what Job gained was in accordance with what God had promised, and was accomplished all according to God’s words, which allowed Job to better see that all living beings are mobilized in God’s hands and His promise is fulfilled without the slightest disparity. At that time, Job felt happy not because he had more property, but because he could make progress in knowing God’s almightiness and sovereignty, and God’s omnipotence and omniscience. Job’s knowledge and understanding made his heart get closer to God, and let him feel the Creator’s beauty, goodness, and loveliness even more. For this reason, he also gained great comfort and satisfaction in his spirit. This is the greatest blessing that he obtained. After realizing all of this, to be honest, I really admired Job. 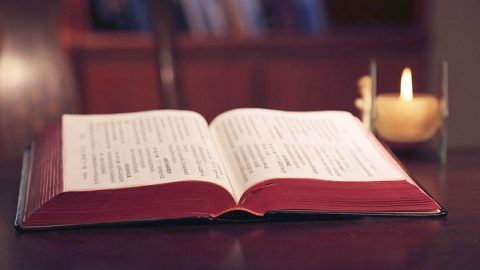 Though in the midst of trials he suffered greatly, and lost all of his property, and even his wife attacked him, yet after he stood witness, God appeared and spoke to him, which allowed him to have a deeper understanding of God. This is the greatest blessing that God bestowed upon him. Then how should we pursue to stand testimony and glorify God, achieving more understanding of God, like Job, when we encounter trials? I also saw these words on the website: “Job’s practice was detailed, was it not? What details did it have? First let us talk about how he treated his children. His objective was to submit to God’s orchestration and arrangements in all things. He did not forcibly take the initiative to do anything God did not do, nor did he make any plans or calculations based on human ideas. In all things, he complied with and waited for God’s orchestration and arrangements. This was his general principle. As for his detailed methods of practice, in what ways did he treat his children? (The first was that he neither interfered with nor participated in his children’s feasting and merrymaking; he distanced himself from it.) He distanced himself, and offered burnt offerings for them. What else? (He did not try to force them into believing in God, nor did he try to drag them into doing so against their will. He did not pray for them, and he drew clear boundaries between him and them.) This is his principle of practice. Is this not a detailed practice? … As for how to treat his children, while they were still alive, Job’s attitude was to not try to drag them into believing in God against their will; he did not try to force them to believe, and he did not interfere, because they were walking a different path. He did not interfere with what they did, and did not interfere with what sort of path they were taking. Did Job seldom speak to his children about believing in God? He certainly would have had enough words with them about this, but they did not accept them, and refused to listen. What was Job’s attitude? He said, ‘I have fulfilled my responsibility; as for what kind of path they are able to take, that is up to God, and it is up to God’s guidance. If God does not work, or move them, I will not try to force them.’ Therefore, Job had one other method of practice: He did not pray for them before God, or cry tears of anguish over them, or fast for them or suffer in any way at all. He did not do these things. Why did Job not do any of these things? None of these were ways of submitting to God’s rule and arrangements; they all came out of human ideas and were ways of actively forcing one’s way to the forefront. This was to do with his treatment of his children; this was the sort of attitude he had, given that his children would not take the same path as he. So when his children died, what was Job’s attitude? Did he cry or not? Did he vent his feelings? Did he feel hurt? (No.) So did he say it served them right, or not? There is no record of any of these things. So when Job saw his children die, did he feel heartbroken or sad? (He did.) What was he sad about? Did he feel regret for not having urged them to work hard at believing in God, and over their having been punished for not doing so? Speaking in terms of the affection he felt for his children, he certainly did feel that little bit of sadness, but he still submitted. How was his submission expressed? ‘These children were given to me by God. Whether or not they believed in God, the lives of humans are in God’s hands. If they had believed in God, then if God wanted to take them away, He would still have done so; if they had not believed in God, they still would have been taken away if God had said they would be taken away. All of this is in God’s hands; otherwise, who could take people’s lives away?’ What line sums all of these words up? ‘The LORD gave, and the LORD has taken away; blessed be the name of the LORD’ (Job 1:21). This is why he maintained this attitude in the way he treated his children. Whether they were alive or dead, he continued to have this attitude. His method of practice was correct; in every way he practiced, in his views with which he treated everything, in his attitude, and in his state, he always submitted and waited, and then he achieved knowledge. This attitude is very important. If people never have this kind of attitude in anything they do, and have especially strong personal ideas and place personal motives and benefit before all else, then are they really submitting? In such people genuine submission cannot be seen; they are unable to achieve genuine submission” (“Principles of Carrying Out One’s Submission to God”). After reading these words, I felt my heart brighten. As it turned out, the reason why Job had such testimony and gained these things was because he usually sought to obey and know God’s sovereignty: In all things he could let go of his own plans, considerations, and intentions, and then wait for and seek God’s will. Since he had such attitude and pursuit, he was always able to see God’s deeds in his life. Through these true experiences, not only did he have a real understanding of the authority by which God controls all things, but also knew that whatever God does is good, and he should accept and obey it. 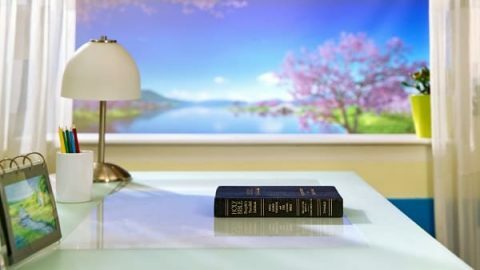 Particularly, when faced with trials, he clearly knew that everything is in God’s hands, and God allowed him to encounter these matters, so he could obey God without conditions and praise God’s name, standing witness for God. After the trails, he received the blessings and approval from God. I thank the Lord for leading me to not only know what the greatest blessing Job obtained is, but also understand how I should follow the example of Job and walk the way of fearing God and shunning evil. All the glory be to the Lord! Amen! What Can We Learn from God Rebuked Job’s Three friends?